That's right. According to my blogging stats...the most googled, read, and talked about post is enemas. OH enemas, how we spent months and months using you during the GAPS constipation protocol. You were so helpful, and still are when the situation arises. Onward with 2013! Bring on the hope! Blog posts reflecting on the horrible recent events in Connecticut are many, and I had absolutely no intention of adding my own to the list. However, as the funerals are now underway, I am still seeing a whole lot of ridiculous blame and bashing in the news and social media. I am tired of looking at it. And have a hard time staying off my soap box sometimes. So I wrote my own. On a cool, autumn morning, an angry young man was working on the family farm with his brother. Anger swelled within him. He felt unloved, treated unfairly, and cheated. An argument ensued between him and his brother, and his anger consumed him. Quickly, swiftly, coldly, and before anyone could stop him, he grabbed his own brother and murdered him. His name was Cain. And his parents grieved over the death of his brother, Abel, and the devastation these actions brought upon their home. Cain was not diagnosed with mental illness, he did not skip out on counseling or miss seeing his psychologist. He was not on pharmaceuticals, off pharmaceuticals, taking the wrong pharmaceutical, or using an illegal pharmaceutical. Cain could not fill your ear with stories of abuse from his childhood, blame arrested development, or journal about how he wished his mother held him more. Cain did not get shuffled through a crowded school system, have an IEP, or endure bullying by his peers. Cain did not eat GMOs, he was not generations removed from a healthy diet, and he did not regularly enjoy a mind-altering diet of McDonald's and Twinkies. Cain did not have a license to carry a concealed weapon, or purchase his weapon from a black market weapons dealer. Cain did not receive vaccinations. He did not suffer from a genetic disease. He could not say he had no sense of morals, that his parents never took him to church, or that he couldn't remember the last time He talked with God. And yet Cain (and Moses) (and Paul) (and others) all committed murder. Please don't misunderstand me. I am certainly not saying that these things are of no influence. I am not denying the fact that mental illness is on the rise, or saying that we are not setting our children up for failure. What I am saying is that everything could be done right, and things can still go wrong, because the world is made up of people who are responsible for their own choices. It is human nature for us to try and search out the answer to why something like this occurred, and try to find a solution that will keep it from ever happening again. But while sorting through it in our heads and hearts we must not forget one simple truth: the world is full of evil. Evil is there because He loves us. It is there because we are given choice. Without it we would be mere robots unable to express true emotion - true love. Without choice there would be no evil. Thankfully, because He does love us so, He promises to use those things in some way for His glory and good. The pain is still there. The grieving must be done. But in this knowledge we find hope. As we move forward in an effort to heal, let us choose carefully where to put our efforts and focus less on blame. Let's focus on comforting those who are grieving, providing help when we can through financial means, and showing the evil in this world that it will not prevail because we have already completed countless acts of kindness in response. Let's be thankful we live in a country where these incidents are not the every day news, and circle close around each other to make sure that it never is. Certainly let's examine what the events teach us about how to improve individually, in our families, and as a society. Please, let us teach our children that their choices reach eternity. But let's also step back to remember that there is nothing new under the sun. Let us grieve for our loss and for the heaven that we all need. Let us extend grace to each other as we try to do better. Let us find comfort in the mercy that is new every morning. And let us watch to see what He will bring out of these ashes. Ellie received her first feeding evaluation when she was around a year old. She began refusing a spoon at 10 months of age, and had several other sensory and milestone issues by 12 months. Since we were also in the limited foods, and FPIES what-should-we-feed-now guessing game, the feeding evaluation seemed to go nicely with the nutritionist recommendations. We had a great evaluation and she recommended follow up, but insurance didn't pay. She had given me several things to work on and it took months to come close to conquering those, so I had no desire to go back for more of the same. Her second feeding evaluation came around the time she turned 2. This evaluation was focused a lot more on her increased sensory processing issues, and what the therapist called being 'hyper aware'. Ellie still had lock jaw and would not let me feed her a spoon or brush her teeth at this point. Of course she was still on primarily broth at the time, so I think we became a feeding therapist worst nightmare. Instead of suggesting foods, she focused on introducing us to skin brushing to help Ellie begin to process exterior input a little better. Insurance didn't cover this either so we did not go back. At home Ellie did not tolerate the skin brushing at all, and some very knowledgeable friends suggested trying pressure therapy so I did. This worked for quite a while, especially during her sensory melt downs. We have better insurance now, and so I asked for Ellie to be referred for evaluation again. 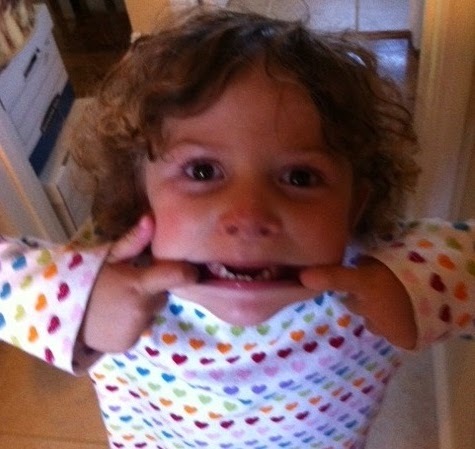 Her neurologist felt she needed to begin with an extensive neuro-psych evaluation to eliminate Autism first (whatever?!). I figured that would get us in the door to finding an appropriate therapy team for Ellie. So we went. Four hours later and a team of doctors and interns staring at us through a one way glass, we were told she does not have Autism (duh), and that she is on par for an average preschooler. In fact the doctor said it was quite remarkable the growth and adjustment that had been made in the last 12-18 months, to which I gladly explained was due to her change in treatment (we started GAPS). 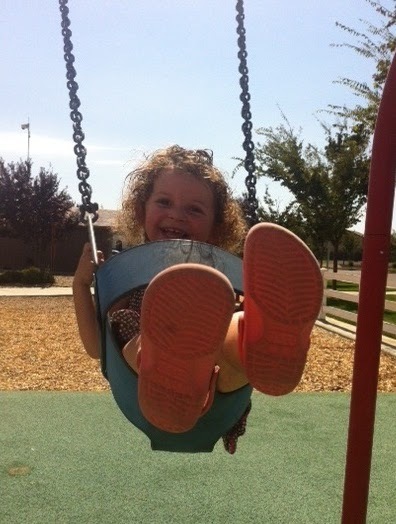 We were then referred for speech evaluation, feeding evaluation, and occupational therapy evaluation, and told she appeared neuro-typical aside from controlled, food-induced seizures. Me: Big girls don't have soo-soos. Ellie: I not big girl. I Ellie. Me: Are you a baby? You are not a baby! Baby's have soo-soos. Ellie: I not a baby. I Ellie. So I figured we would be toting that stubborn girl's pacifiers around until she went to college. Alas, on the one day of the year I said I would never leave the house (Black Friday) Ellie walked over to the garbage, tossed them all in, looked at me, and said "What my prize?" Off to the store we went for her heart's desire - a stuffed tiger like her sisters. It made this mommy sad that she simultaneously gave up her bear, which she has used for sensory soothing since she was an infant. Bear, soo-soo, and blanket were the must have trio for sleeping, and woe were we if we went out and left any of them at home. 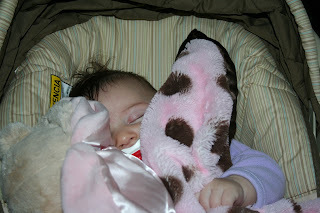 She is hanging on to the blanket still, occasionally asks for a pacifier, but poor bear doesn't even get a glance. Sad, sad day. Last week we headed off for her fourth feeding evaluation, and arrived to find we were working with a speech therapist. Hmm. I went with it. She was very warm and put a lot of effort and energy into helping it be a productive appointment. She had reviewed Ellie's super thick file and was more aware than most of the doctors we have encountered. I did not have to go through her medical history much at all, which was incredible. In fact, I think I might fill out one of those nice 'star reports' that they have in the office the next time we go in. She admitted she did not have many specific foods to suggest, but gave me great ideas instead. She suggested dipping activities, and to not focus on Ellie actually eating but to just get her to the table by making it desirable and fun. My biggest hang up was that all of her MD approved handouts recommended ridiculous things for therapy. Cheez Whiz? Seriously? But Ellie warmed up to her nicely and we went home armed and ready to cut up pancakes with knives, and play basketball with toothpicks and meatballs. This all seemed quite ridiculous to me, but within a couple days Ellie was asking to feed me and joining us more at the table. She has also always sat in the same chair eating her bottle the same way for 2 years now. The house is filled with tragedy whenever the chair must be washed and temporarily unavailable. Now she has been eating her bottle in various places around the house! Overall we are making progress. It seems like a crawl but we are still moving in a forward motion. I have been convinced her lack of chewing is due to her lip tie, but a friend's daughter (same age, same diagnosis, same lip tie) just began chewing away, so I am no long so convinced. My absolute biggest hope is that we can get some solids into her and that might trigger a full night sleep. At this point in the game my body is dragging from waking up multiple times every night. Thank goodness Daddy helps with that! "(The) GAPS introduction diet requires patience and perseverance." 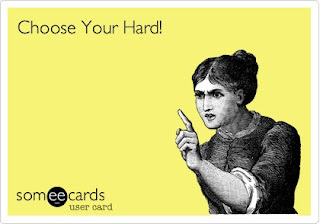 One of the GAPS circles I am privileged to participate in has coined this phrase about "choosing your hard". I mean, come on, GAPS is hard. And putting your child on GAPS is really hard. There are lots of reasons for this. The transition to GAPS usually means a transition to a whole new world of information, and in reality, this sometimes leaves even the best of us sticking our fingers in our ears and yelling "I CAN'T HEAR YOU" at the top of our lungs. Ignorance didn't involve all this learning. In fact, sometimes I think my brain is actually smoking from this learning curve hike. GAPS is hard. The learning curve is hard. All of the newness is just plain hard. One of the absolute biggest changes occurs in how we relate in the doctor's office. I mean, let's face it - most of us are not already visiting naturopaths or holistic physicians. If we were then our kiddos probably would have stood a better chance at not needing GAPS in the first place. And asking your pediatrician for nutritional advice is not usually the best thing. Or your gastroenterologist for that matter. That's why they all send us to nutritionists for dietary help. Remember that the Standard American Diet includes low salt, low fat, low animal protein, and high fiber recommendations. The reason for this is a whole other post, but it does not exactly follow the food-as-medicine principles. As a result we are left explaining (and often defending) why we have chosen a holistic approach in order to heal our child. This can be difficult and scary. Another hard adjustment that comes with 'going GAPS' is the social implications. Everywhere I go someone is trying to feed my children. Lollipops, candy, granola bars, and maybe even fruit. I am not of the innocent. I have done it. My classroom days were spent bribing good attention with the toss of a Jolly Rancher. Unfortunately we are producing sick and allergic kids much faster than the general public can switch to a 'don't feed the children' mentality. 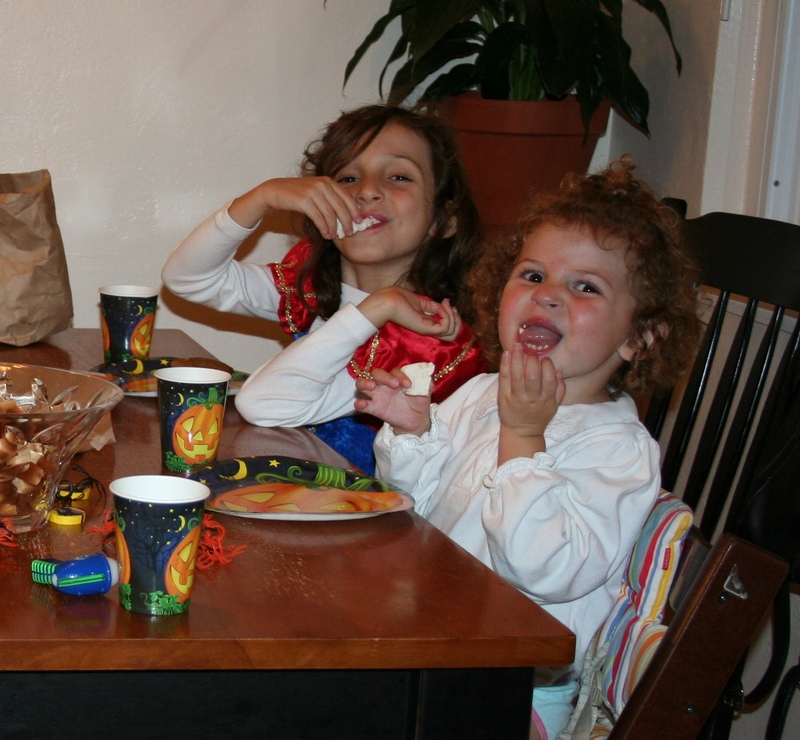 The result is the parent running interference between child and food anytime they leave the house. This is hard enough with a severely allergic child. Throw in a bottle of broth that looks like you are feeding your infant hot steaming coffee, and you are certain to catch some unwanted attention. Hard. Once in the land of broth, kraut, and kefir, it is now not so easy to leave the house. Family schedules, routines, outings, and extra-curricular activities all must be re-evaluated for the ability to bring food, as well as the ability to make it. A quick jaunt through the closest drive-through is not an option. Not packing enough might mean hungry children and a feeling of mommy failure. This one has personally caused me a lot of anxiety. And let's not forget the mountains of broth pots, blenders, juicers, and greasy kitchen tools that need to be washed all.day.long. Hard. These things are all very hard. They require making adjustments that are not for the weak of heart. And most people know that. "That must be so hard". "I don't know how you do it." "You must never sleep." "How do you get all that done?" I have heard it all from commiserating friends and well-meaning strangers. And they are right. It's HARD. I don't sleep much. And I really don't know how we do it. We certainly don't get everything done. Ever. I slept an average of 3 hours for two years. I still get up multiple times every night. I rarely shop at the actual grocery store. Our 'convenience' food is frozen vegetables. We raised special chickens on a suburban lot. We sold the house and moved. We have gone to living on one income. We are incredibly financially stressed. And it is all.so.very.hard. But wait. It is not that I am just looking to complain. And I most certainly am not encouraging you to NOT do GAPS. It is just that in the last month or so I have begun to reflect on the differences between the hard that we choose, and the hard that we don't. We did not choose FPIES. We absolutely did not choose the hard that started us on this path. But most of the hard that we are now living is by choice. There is something that changed when we made the leap to GAPS. Without even really realizing it, we went from running from doctor to doctor looking for answers, from researching and reading and waiting for someone else to tell us what to do, from feeling like every food I fed Ellie was a sick game of Russian Roulette, from begging insurance companies to pay for her crappy MSG laden chemical food, from tracking down every ingredient or sourced chemical in everything from canned baby food to laundry detergent, from all of that and more...to hope. When we started GAPS a transformation took place. It was not that we had a mapped out plan. We still had to do a lot of figuring out within the protocols of the diet. But we were given permission to be the ones who know best for our daughter. We were given the information, and the medical studies, and the case studies, and saw the proof right in our own home, that there is hope and a plan for healing. From the unknown and the scary suddenly came hope, direction and a chance to watch God reveal some of the amazing ways He designed our bodies. And we were empowered once more to do what we feel is right for our children - to keep them safe, and to keep them healthy. THAT is the hard we have chosen, and with great privilege. Everyone chooses their hard. GAPS is the hard we have chosen. And it is indeed a hard choice. But the alternative? That is harder. SO much harder. 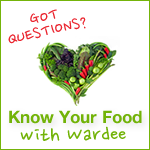 Wardee is one of my all time favorite real food resources. She even has online classes for those of us who are entirely visual in our learning style (hello, ME! ), and podcasts, and recipes, and fermenting book, and ebooks, and resources galore. Today I am entirely and completely privileged to have a guest post on her blog! So jump on over to GNOWFGLINS to say hello, and be sure to check out her GAPS series. First, the amazing amount of hunters and fishermen who, for almost 2 years, have gone out of their way to supply us with food for Ellie. From bear to ling cod, whenever our supply gets low someone shows up with an ice chest. Some hunters have even said they had to carry their spoils for miles on their shoulder's, only to donate it all to Ellie's belly. Some have stopped to be sure that organs were saved when those parts are usually left behind, just to be sure that it met Ellie's needs. That to me is some serious kindness. Second, this Thanksgiving week I heard Ellie ask if she could be excused from the table. We offered her many of the dishes on the Thanksgiving table, and watched her eat pumpkin muffins and taste pumpkin pie. Thanks to understanding and adaptable family members, we said yes more often than we said no this holiday. 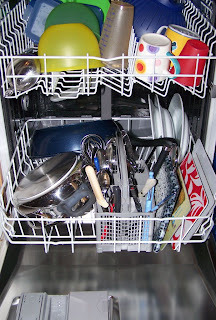 Cross-contamination is no longer a cause for fear and panic in our home, and the floor gets swept because it is dirty, not because I am petrified she might touch a crumb someone has dropped. We are picking up as a family. We are repairing, adjusting, and healing from all things FPIES and all things fear. We are embracing our new normal much easier these days, and I am so very grateful. Thank you to all who have been on this journey with us, and who continue to trudge along. To God be the glory-for it all. Ellie is now on stage 3 of GAPS. This includes nut butters, pancakes, squash, goat ghee, scrambled eggs, fresh juices, and others. At this point in our journey she has too many foods to maintain an accurate list. Amazing, eh? SO whatcha think? Pretty darn amazing, eh? I am in awe that after thriving on broth, meat and zucchini for 16 months, she is now eating like this. From nothing to too much. From pain to healing. From fear to hope. God is good. Amen? I can't wait to see what these teeth are gnawing on next! 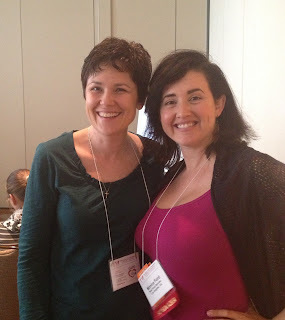 My overall review of this year's WAPF conference was thumbs up! I was able to chat with those I had not seen since last year, meet new friends, make new connections, and listen to speakers such as Dr. Natasha Campbell-Mcbride, Dr. Chris Kresser, Monica Ford, Dr. Thomas Cowan, Dr. Don Huber, and others. Unfortunately my iphone camera went on the fritz when I got there, so my Rock Star photos this year are limited. A major highlight of the trip was the release of Dr. Natasha's new book - GAPS Stories. The book contains more than 50 stories of children and adults who have been healed using the GAPS diet. Ellie's story, as well as that of another child in the GAPS Kids community, are now in print! The book does not appear on Dr. Natasha's website yet, but will be for sale at gapsdiet.com soon. 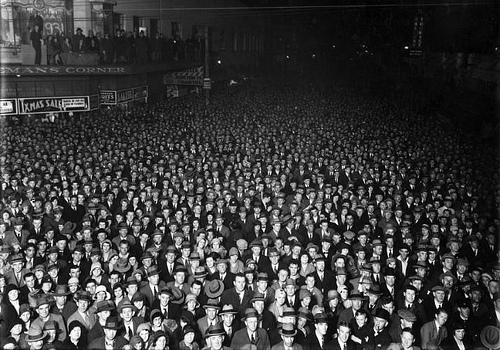 *The whole body regenerates: every.single.cell (we used to think the brain didn't). Different cells form at different rates. New stem cells emerge from an area of the brain every day. Every 3 months we have an entirely new liver. The gut determines if these new cells are born healthy. A sick gut means they will regenerate poorly. *It has been known for over 70 years that 85% of our immune system is located in the gut wall. *Our immune system is never misguided. Our immune system responds to communication from the gut, which can provide wrong data. *Tcells originate from the thymus. There are lots of Tcells with different jobs, but they all are ultimately controlled by gut flora. *The hair is a storage site for nutrition. Grey hair results when the body is nutrient deprived and pulls the nutrition from the hair. *Decay attracks candida. To get rid of candida you must get rid of decay. We now know that the body will send out signals and attract candida. *Colic is the first alarm bell, and if the parent doesnt deal with it then far more serious conditions will come. *We now know that people who had measles as a child do not get auto immune disease because the immune system received a proper education. This is not the case with those who receive vaccinations. This was just the tip of the iceburg. The conference was packed full of information and my brain is saturated! I arrived in Santa Clara yesterday and picked up Dawn from Home Food Heals at the airport. It is so great to have a buddy to share the conference with this year. We went to dinner with two other Dravet Syndrome families last night at a local organic restaurant called Parcel 104. It was really yummy food, but I am certain the beans served with my roast were not soaked and sprouted, because they reminded me that I need to go on intro. One of the Dravet families we met is also active in the GAPS Kids community, so it was exciting to meet another GAPS family. Their daughter has made amazing progress on GAPS, but not without a lot of hard work, tears, and perseverance from her parents. These parents deserve the most courageous, and determined parents award. They have already conquered hurdles for healing that I can not even fathom. My heart about burst when their precious GAPS kid asked me to read her an Amelia Bedelia book, and laughed contagiously at silly parts - so incredibly precious! It was an absolutely fantastic way to start the weekend! Today I am using this platform to say COME ON California. Today we have the chance to join more than 40 other countries in taking back the dinner plate. Today we can fight food politics with a vote. Today we have an opportunity to change the legacy we leave. Today we can hold accountable major corporations and corrupt government entities. Today we can stop plugging our ears and start choosing something better for our children. Stop making excuses. Stop listening to the marketing lies. Stop mumbling conspiracy theorist. Stop calling it no big deal. Vote with your eyes OPEN. Just say NO to GMOs. And say YES to our future. I'm a literalist. When it comes to the sharing of facts I find it completely frustrating when information is obscure, misleading, or not entirely clear. For this reason, and many others, it did not take long on the FPIES journey for the phrase 'outgrow' to make it to the top of my list of pet peeve's. Most do outgrow, will likely outgrow, might outgrow, probably wont outgrow, may never outgrow,...are all phrases I have heard, and phrases I loathe. Why such passion for such things, you ask? It's simple. What in the heck does 'outgrow' mean? It's obscure. It's misleading. It's unclear. And when dealing with a sick child, it is hope stealing. 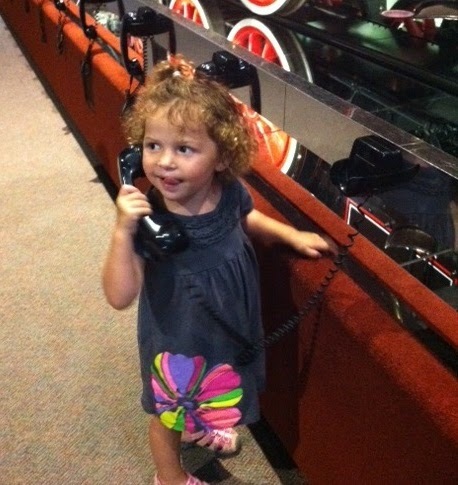 Children outgrow the terrible twos, and they outgrow being afraid of the dark, and they outgrow the need to talk on the phone. They don't outgrow barfing, or reflux, or diarrhea, or failure to thrive, or any other sign that something is wrong. In less flattering times I have retorted sharply when an inquiring mind wanted to know if 'this is something she will grow out of'. Well no, I have responded. It won't just magically disappear, but we do hope she will heal beyond these limitations. oops. Not my finest moments. In less than complementary conversations, I have mentioned to medical professionals how irritating it is that there is no definition for what 'outgrow' truly means. They throw it around as if it gives an answer, when it really says nothing. They, of course, have had their various explanations of how sometimes the immune system or intestines or whatever just simply heals on it's own or grows past this struggle or matures to a certain place or begins to whatever. Like a miracle? I wish I had asked. 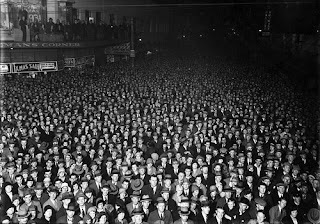 I have my own definition: doctors and society use the phrase 'outgrow' to mean something that may at some point in time stop and no one knows what, how, or why. WELL....I'm a what, how and why kinda gal. As in WHAT is going on medically, HOW did it get that way, and WHY did it change, go away, or stay the same. It's kind of like how curiosity killed the cat. I am certain this feature of my personality will be the death of me. Indeed miracles happen and many of these situations may be just that - an unexplained miracle in the medical community. But many times it is truly that they just don't know the reason or have not made the connections. It makes me so sad that there is an abundance of information about immune system disease, and how they ALL can be healed or at least dramatically improved, yet the medical community in general continues to stay within their little boxes of no hope and outgrow. Never accept 'that is common' or 'they will outgrow it' as an explanation for your child being sick, hurting, or showing signs of distress. Ellie is now 3. She has won the sickest kid award in just about every competition we have unwillingly entered. And today she is a marvel. She is eating, she is thriving, and she is saying good bye to all of those symptoms that once puzzled even the best. She is not outgrowing FPIES. She is healing. And there is hope for even the most hopeless. How do I know? Because I am an expert. I was there. I was one of those moms. At the very worst we heard 'expect her to at least be on only elemental formula well into her school aged years'. Yesterday we met with Ellie's new pediatric G.I. She has not had an established G.I. for over a year, and in order to get her feeding therapy services we had to get one on board with the team. The appointment went well, but was the first time in a long time that I had to give her entire history from a G.I. perspective. He was great, young, new, and honest. He said he has never treated a patient as severe as Ellie so he did not have a lot of wisdom to share. That actually caught me by surprise. Not that Ellie is 'so severe', since I have heard that far and wide from every specialist we have seen. What was surprising was the questions he asked and the learning he wanted to do. That was refreshing. I told him I appreciated his telling me there we NO procedures he would recommend at this time; that alone is very wise. I was also jarred back into thinking of Ellie and her progress, because most days I see a little girl who is no longer sick. We are in a new place where instead of fighting for answers, doctors see the improvement she has made and ask me HOW. I love that. I love that when they ask me 'what DOES she eat?' I have to stop and think and sometimes forget something. What a change from times past! We have spent our fair share of time waiting. GAPS is a very individual diet, helping to peel back layers and reveal core issues that are preventing healing. We have played that game for 20 months now. For Ellie, much of the time has been spent just waiting for her body to heal. The rest has been dealing with individual healing hurdles. 5 steps forward, 3 steps back......2 steps forward, 1 step back.....it has felt like a crawl. With prayer paving the way, the push for foods has begun. It has been so long since Ellie has had an FPIES reaction that it is beginning to feel like another lifetime. She still has allergic response to corn and I suspect that may be the situation for many months (or years) to come. But this week we had a major success. This week she ate her first pre-GAPS FPIES food fail. Ellie failed so many foods pre-GAPS, and reacted to so many foods at the start of GAPS, that we have reached a point where we can no longer avoid them all. This has been an amazing turn of events. This has been the place we have been waiting for. This could have been ugly, but instead has shown that the recommended 2 years on GAPS is more than just a guess Dr. NCM has thrown out there. We are nearing 2 years and we are finally moving forward. From a stand still, to a crawl, we are getting ready to run! Ellie has now added virgin coconut oil to her diet. Up until now she could only tolerate refined. Ellie is now eating fresh carrot juice. Up until now she could not drink even one drop without the sugar causing her body bacteria to explode. Ellie is now eating fresh apple juice. Ellie WAS FPIES to apples. Did you catch that? WAS. For the first time we can step back and say...wait. WAIT! Was FPIES. For the first time we can actually say FPIES will someday be behind us. For the first time we can say that FPIES, EGID, leaky gut, seizures, and all of her complications will eventually be gone. Today Ellie is trying her next new food. Today is day TWO of homemade goat ghee. Ghee is clarified butter. Ghee is DAIRY. And dairy has been banned from the house for over 2 years. So far, so good. She is on the move. She is doing great. We are SO incredibly thankful. I can hardly wait to try her next new foods. Stay tuned! We are here. We are adjusting. We are nothing but a house in the country with some chickens and a bunny, trying hard to be a farm. Stress and busy days have not left us yet. But things are good. Saturday: move, bathroom and kitchen sink not usable yet, go back to old house for baths, etc. Sunday: finish moving, spend the night with Ellie vomiting all over the house like she has not done in over 6 months. Monday: daddy to work, mommy to unpacking, kids to running a-muck, and then spending the night with a major power outage. Tuesday: rain. rain with many of our boxes and items on the back patio still since we have no room in the house. Wednesday: out of coffee and the realization there is no Starbucks decent franchised coffee shop within a 20 minute drive. And so forth, and so on, and on and on. We have downsized from 2400 square feet to 802. No one really seems to mind except for me and my OCD need to organize. The neighbors are awfully close with their goat farm which brings delightful things like stench and flies, primarily in the evenings. We now have to get up at the crack of dawn and schlop out to the chicken coop to free the waiting, squawking hens. We have no reliable internet...yet. It's been bumpy. But it's good. We are comfortable. I am at peace. There are adjustments, but having grown up in a small farm town there are a lot of things familiar and I don't feel totally unequipped. I LOVE our new address. It's on New Hope road. I LOVE that our house is so small that I can always hear the kids, and that they never feel too far from us. I love that there are no neighbors blaring the 'F' word, and that Big Sis' feet are absolutely filthy by 10 a.m. every day. I love that we are purging like crazy, the night sky is full of stars and the water is fluoride free. Things have been hard. Things have been crrrrrrrr-azy. Things have been a long haul. But we chose this. We didn't necessarily choose *how* we got here, but we chose this adjustment. We don't feel sorry for ourselves and we don't regret it. It's better for Ellie. It's better for Big Sis. It's better for us all. It's all very new. New community, new house size, new way of living, new priorities, new goals....new HOPE. 38 months into FPIES and one thing is absolutely certain - FPIES has changed us for the better. It continues to change us, push us forward, refine us and mold us. It has taught us how to hope. Thanks to the sale of some furniture as well as a monetary gift from some friends, we were able to purchase air filters. This was a hard purchase for me because the best of the best are thousands of dollars, and the science behind some air filtering methods is controversial at best. Also, just like water filters, many are restricted and unable to be purchased for shipment to California. We ended up with two - one that is in the main living area and one in the girls' bedroom. These are doing a good job of keeping up with the toxins in the house as well as things like the wretched stench from outside in the evenings (oh! We have moved! Guess I should do that blog post next). This has been one of the ways we know they are working! No smell in the house. The amount of research I did was quite extensive, and absolutely exhausting, so I thought I might share a little to save someone some time. 1. pre-filter. This is a plain filter that works to capture large particles before they hit the more important filters. It extends the life of the other filters and is rather important. 2. HEPA filter. HEPA filters are the most efficient for catching large particles such as dust, dander, and even some bacteria. They work against mold, but there are studies showing that HEPA filters can also get mold within them and have issues so it is recommended that you remove the mold source before using the HEPA to clean it up. Just a HEPA filter is not enough because it only removes airborne particles down to .3 microns. Most household contaminants (VOC's) such as formaldehyde are smaller than this. 3. activated carbon filter. This is probably (in my opinion) the most important thing to look for in an air filter. The efficiency and size of the activated carbon in the air purifier will determine what particles smaller than .3 microns are removed. From what research I did, it appears that activated carbon filters are effective down to .1 microns. Most of the super expensive filters stop here and use the first three filtering systems. Just like with a water filter, the more activated carbon there is for the air to move over, the more effective it is. These expensive filters are large boxes of activated carbon with HEPA filters. Most of those filters cover one average sized room and cost around $1000. We obviously could not afford this, and I also wondered about the particles smaller than .1 microns that would be missed. However, any additional filtration methods came with controversial reports regarding safety. 4. UV Lamp (germicidal). This filter gets a bit tricky. It kills micro-organisms like mold, germs, etc. and also has several variations whose safety are questionable. In general, there are either UV lamps that kill germs with ultraviolet radiation, or those that generate ozone. Both have risk factors. If the cover comes off of the ultraviolet radiation lamp you can receive dangerous exposure. On the other hand, there is still much controversy over appropriate levels of ozone. It is hard to find an air purifier that does not have one of these, so we chose one with the light instead of one that produces ozone into the air. 5. Ionizer. This is one of the components that caused me the most stress when researching; I really did not like what I read. An ionizer changes the charge of ions in the air so that particles which are normally airborne become heavy and fall to the ground. Theoretically you then sweep or dust them up, or they become airborne again where they are then again made heavy and fall to the ground. Many say ionizers are great, are not problematic and have improved their air quality tremendously. Ionizers produce ozone at varying levels. There are also some studies showing that those exposed to ionizers have particles in their lungs that are not normally found there. This made me uncomfortable for the girls' bedrooms where they would be lying flat and breathing the filtered air. For this reason I purposefully searched out filters that had extremely low (virtually no) ozone production, and was excited that the one we purchased for their bedroom has the option of turning the ionizer off. 6. Electrostatic filter. An electrostatically charged grid traps particles and is very effective. 7. Photocatalytic Oxidation (TiO2) filter. This technology is used by NASA and the newest. This filter is 99.99something-crazy% effective for cleaning the air of VOCs. The potentially questionable part is how it does that. This filter oxidizes the particles and destroys them. Extensive tests have shown that what goes in does not come out and chemicals are indeed destroyed. The problem is that there are not conclusive studies on what comes back out of the filter. The chemicals are destroyed and changed into something else, but I could not find any studies saying that the new particles being inhaled were actually safe. If formaldehyde is destroyed, what does it become? There are no answers for that yet. There you have it. More information on air purifiers than you have ever wanted to know. We ended up with two filters that include a combination of the above systems and are proving to be very effective. If you are in the market for an air filter I recommend checking out Friends of Water who have already done the narrowing down of choices for you. We purchased some great options there for very reasonable costs. Within a week of finding our perfect rental, we received notification from the bank to get out. We had been in an active short sale and not planning a foreclosure, so we *really* would rather not have an eviction on our credit as well. The packing is in full force and so is the purging. We are downsizing from over 2400 square feet to 802. This means we have way too much furniture (and toys, and just plain ole stuff). Barring other future surprises we also have 4 estimated large expenses that remain for our family needs. We have decided that we will use our packing and purging abilities to try and raise some needed funds for that, since the funds are pretty restricted otherwise. 1- air purifier. The rental house will have fresh paint, new floor, and new kitchen. The new kitchen is rather awesome since it will be free of anyone else's funk, including various forms of corn. However, all of this will be very detrimental to Ellie's healing, and our overall health. This need feels particularly urgent as we will be moving in a few short weeks. We are going to be handling this in-home air quality issue in two ways. I have been researching for weeks into the wee hours (what? so what's new? hey!) regarding air purifiers. What I found was that there is no fool proof, 100% effective system out there for cleaning the air in the home. The most interesting thing I found is that NASA has a BioHome that is maintained by plants. They have done extensive studies and have found that the right, efficient household plants remove up to 87% of household toxins within 24 hours! You need to have enough of them to do the job, and the recommendation is 15-18 plants, 6-8 inch in diameter at least for an 1800 square foot home. Check out the list of recommended plants HERE. Our first line of defense for our new home will be plants! We will be in 802 square feet, and my goal is 15 plants from this list. My hope is that it will be cheaper to accomplish than purchasing the outrageously expensive, top of the line air purifiers. Now I think I understand the tradition of bringing a plant as a housewarming gift. Isn't that smart? The second thing will be to purchase a lower cost, as efficient as we can find air filter for the main living area, as well as one for the girls' bedroom. I believe I have two picked out, so overall we are looking at about $400 + plants. 3- natural organic mattresses. Because of some fire retardant laws passed around 2007, conventional mattresses are one of the most toxic pieces of furniture in the home. Mattresses out gas into the air polluting the entire house. Since Ellie spends time sleeping in our bed, and we want a healthy environment for Big Sis, too, we are working to replace all three of our mattresses. We have found an organic kid's twin mattress that will cost approximately $500, so we are working to save $500 x2 plus $1000 for a queen. Total we need to save $2000. Right now these costs seems incredibly out of reach, but God knows our needs and we know He will provide. We are going to begin posting items from our home on craigslist and to our facebook friends to try and get things started. Prayers would be appreciated for the sale of items we don't need in order to fund these things that we do. We received word today that we will be able to be begin moving stuff into the garage of the rental next week! Time to figure out how to move some chickens. Sometimes it seems hard to update Ellie's progress, because "she get's 2 probiotic capsules instead of just 1" seems ridiculous to those who don't know her entire story. In Ellie's life, these changes are huge and a sign of amazing progress. About 3 months ago we finally determined what remaining obstacles were keeping her from healing and now I can hardly believe her progress! What were her obstacles? Ellie had fluoride toxicity and chronic constipation. We have worked hard to resolve both issues. We believe her conventional mattress is still causing her problems and holding up some healing, and are saving up to replace it. In the last 6-8 weeks Ellie has begun eating: broccoli, turnip, cabbage, egg yolk, and brussel sprouts. She drinks around 1 cup of fermented coconut water a day, has doubled her dosage of GutPro, and even enjoyed some homemade marshmallows. Her eczema is almost gone, and she is resolving the pesky staph skin infections. She has had lemon water and apple cider vinegar without incident, but declares it 'nasty' and does not drink it regularly. Please note that she had an FPIES reaction to applesauce prior to starting GAPS, so I was very nervous about giving her apple cider vinegar. She has also had no problem using various art products that gave her FPIES reactions previously. 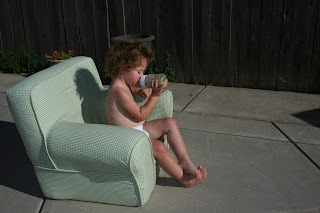 We do limit her exposure to these chemicals still (as we would for any child), but are no longer fearful. One example of this was a recent trip to the zoo with family friends. While in the zoo cafe Ellie picked up and brought me a package of pink popcorn. My sweet girlfriend freaked - WHAT! She touched popcorn! QUICK!... All while I had calmly said, 'Ellie please put that back'. We laughed. What a change from 2 years ago! Ellie now has 5 vegetables she can safely eat, and averages 3 egg yolks per day. In the next few weeks we will be trying foods higher in starch that Ellie has not previously been able to tolerate. If she is able to tolerate them, it will show that her disacharidase deficiency is healing. On the list are onion, leek, spaghetti squash, cauliflower and carrots. We will be starting fermented garlic. Once I can find a goat, sheep or camel milk source, we will also be trialing ghee. We are BEYOND ecstatic. The Lord is gracious and has been incredibly good. My heart runs over with her signs of healing and continued hope!